A lawsuit has been filed against Google over age related discriminatory hiring practices which was certified by the Northern California District Court. A class action lawsuit has been filed against Google accusing the company of discriminating against older job seekers and employees. The case against the company has been certified by the Northern California District Court which is allowing aggrieved applicants aged 40 and older to join together to file a single suit. Now that the case has been certified, the court has given plaintiffs the right to challenge Google in court as opposed to individually which will make it easier to deal with the company's expert legal team. This move by the court also increases the chances of the company offering those involved in the case a favourable settlement. The complaint was originally filed in April of 2015 and claims that Google discriminates against job candidates that are over the age of 40 during its screening processes. According to the suit, the company violated the US Age Discrimination Employment Act during its hiring process. Cheryl Fillekes, one of the plaintiffs named in the complaint, claims that she interviewed with google four times between 2007 and 2014 for a position with the company and was turned down following in-person interviews in part because of her age. Fillekes also brought up how Google recruiters had requested that her graduation dates be included on her resume as a means of checking her age. 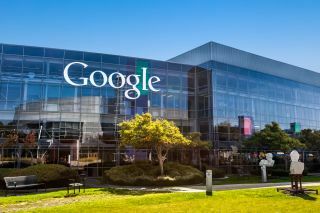 Though the certification will likely aid the plaintiffs in pursuing justice for the supposed wrongs committed against them, it does not signify that Google did engage in discriminatory hiring practices based on the age of candidates.